Update her winter wardrobe with this full sleeves hooded sweatshirt from Doreme. The warm and snug sweatshirt features print to the front and pullover style. The hood will help to keep little ears warm during winters. Team it up with jeans and casual shoes to complete the look. Styling Tip: Team it up with jeans and casual shoes to complete the look. 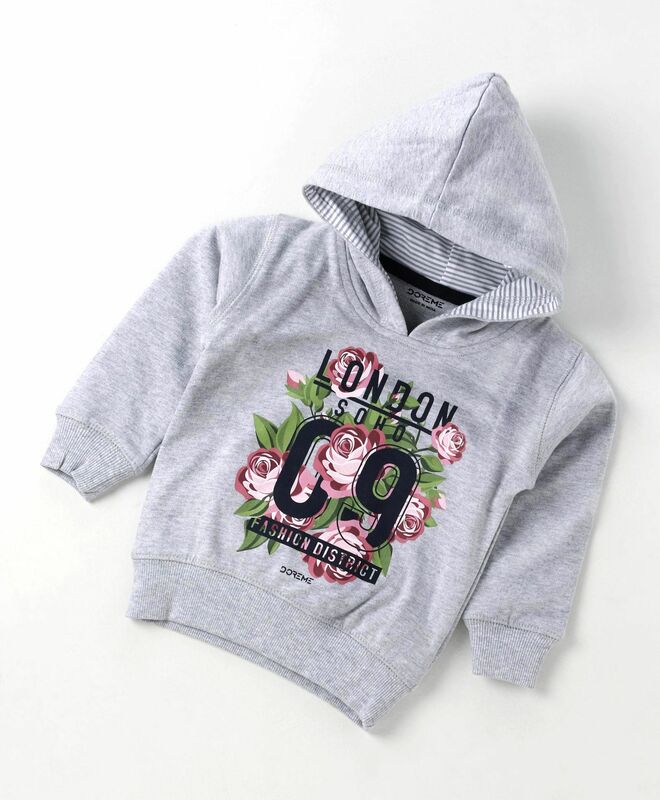 Too Small it fits to 6-12 months baby or 1-2 years kid!